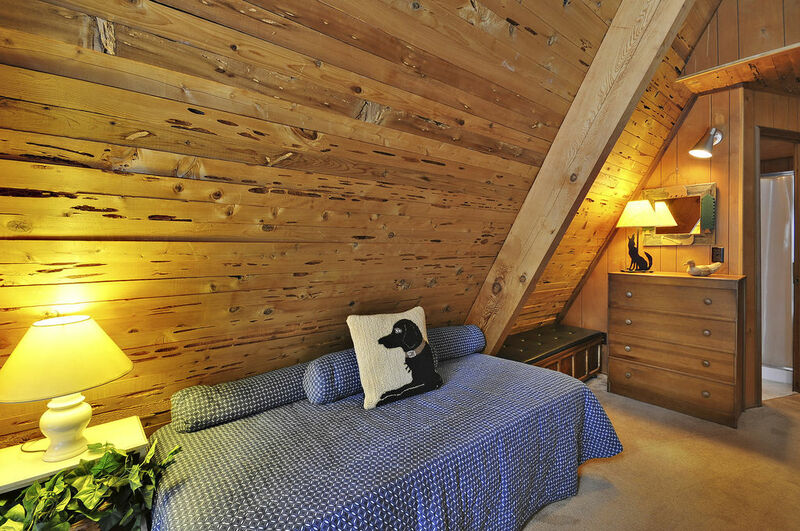 Dog-Friendly - Hot Tub - Ski Lease Wildwood Cabin is available for a ski lease starting either December 1 for 5 months or January 5 for 4 months for $2700/month plus utilities.We do require that all our ski leases are cleaned monthly by our cleaners. 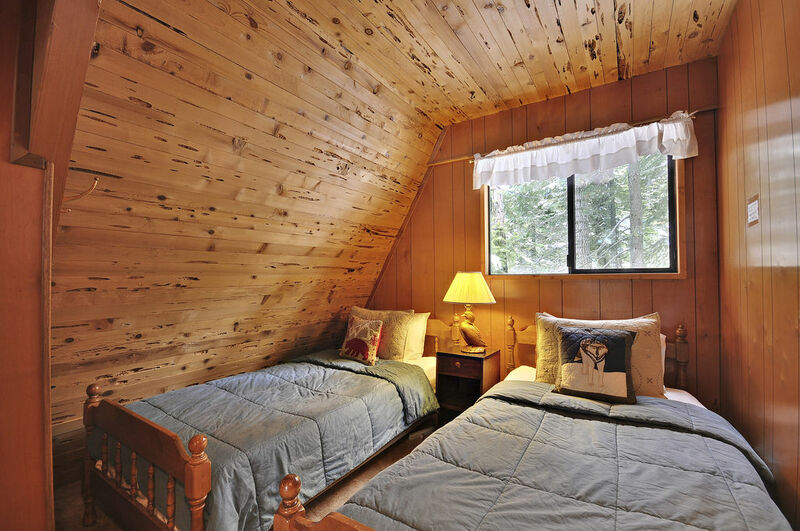 Wildwood Cabin is a cozy peaceful dog-friendly vacation cabin located on the North Shore of Lake Tahoe. 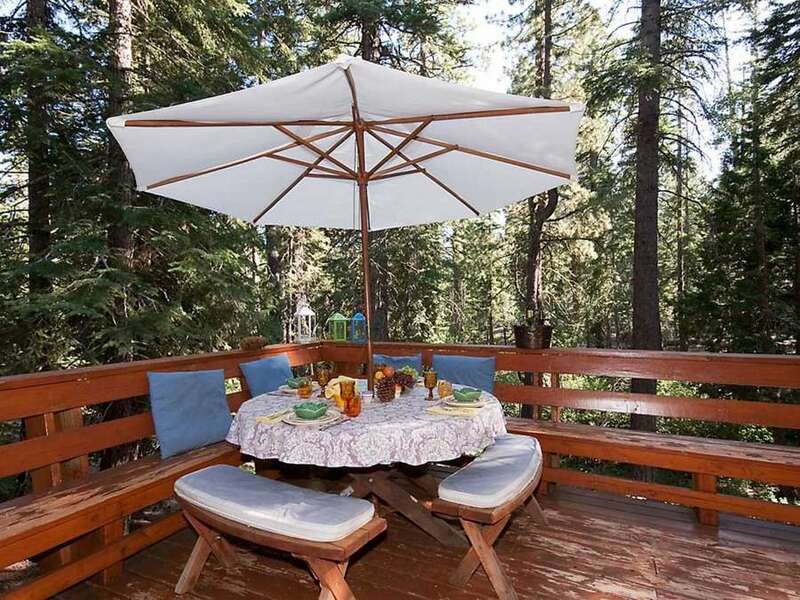 It is at the end of a private road with a creek nearby and large deck to enjoy the wonderful sounds and smells of Tahoe. 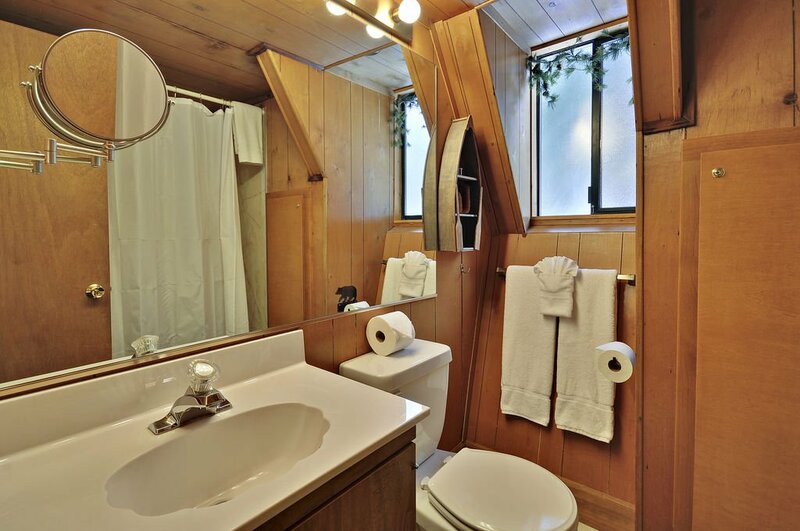 If you are looking for an authentic Tahoe cabin feel, this is the perfect place. 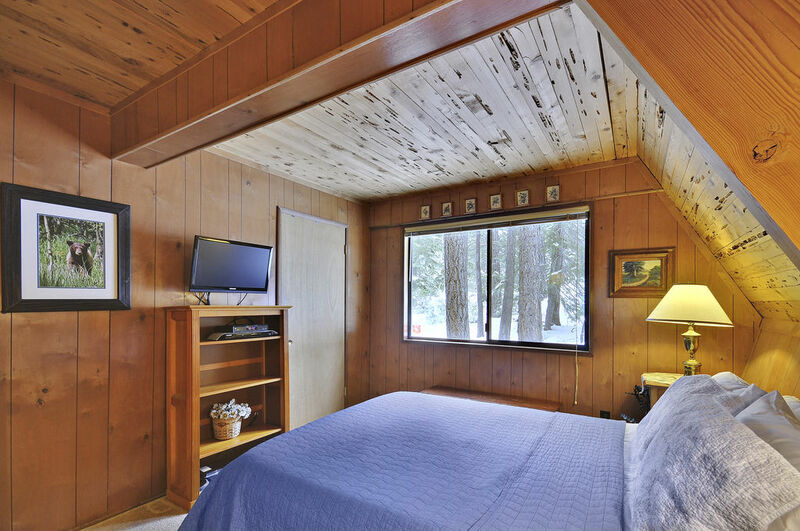 With a peaceful location and the decoration of the home, you will feel like a Tahoe native. 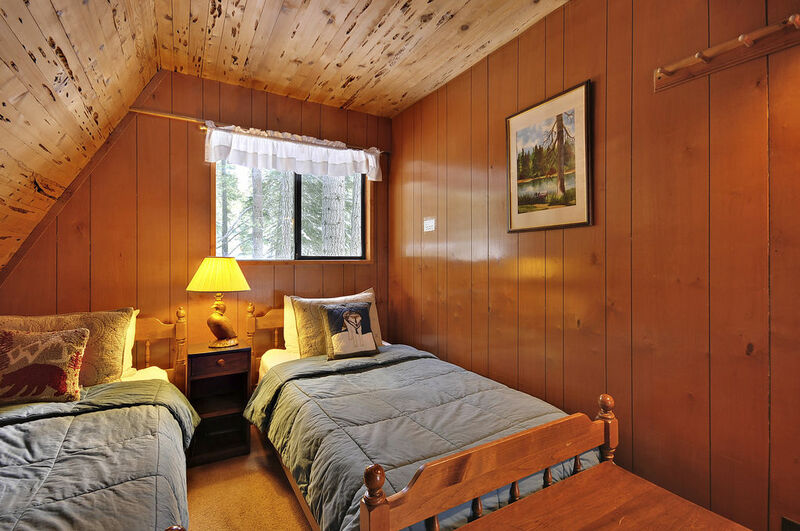 This property, while being remote enough to enjoy the natural surroundings is still a convenient location to access the conveniences of Tahoe City. 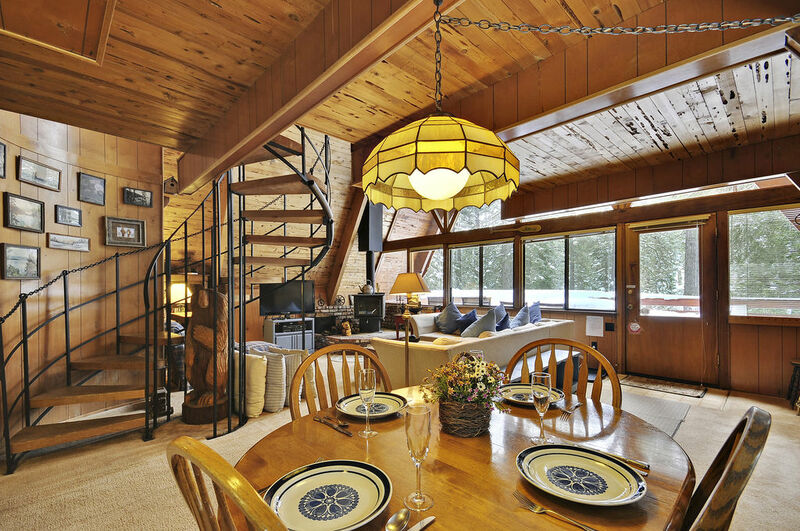 With high ceilings and large windows, this vacation rental house has a very warm sunny feeling to it. 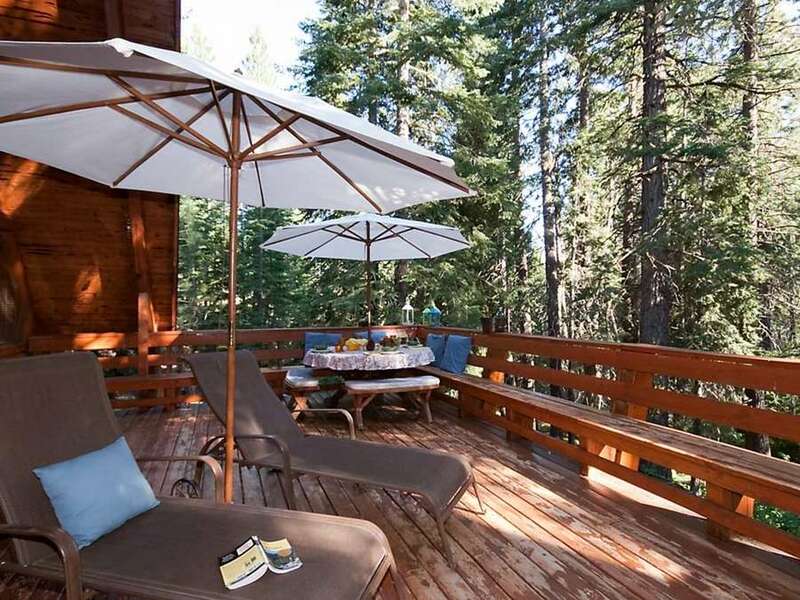 The front deck is on the second level and is the perfect place to relax and enjoy the nature that backs up to the house. There is also a side yard with lounge chairs perfect for children and dogs to run around in. 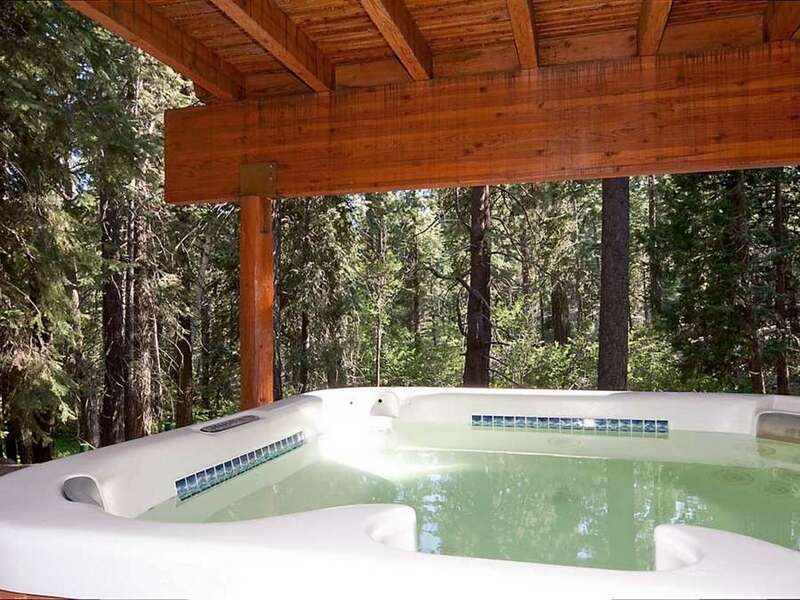 Underneath the front deck and above the private road sits the hot tub giving it a nice remote sensation. 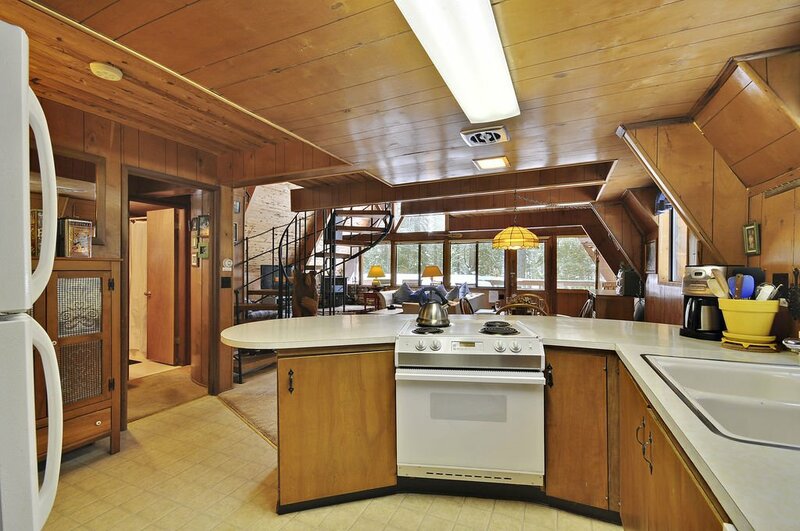 The living room and kitchen area are very open and great for entertaining. There is a large flat screen TV with plenty of seating around. 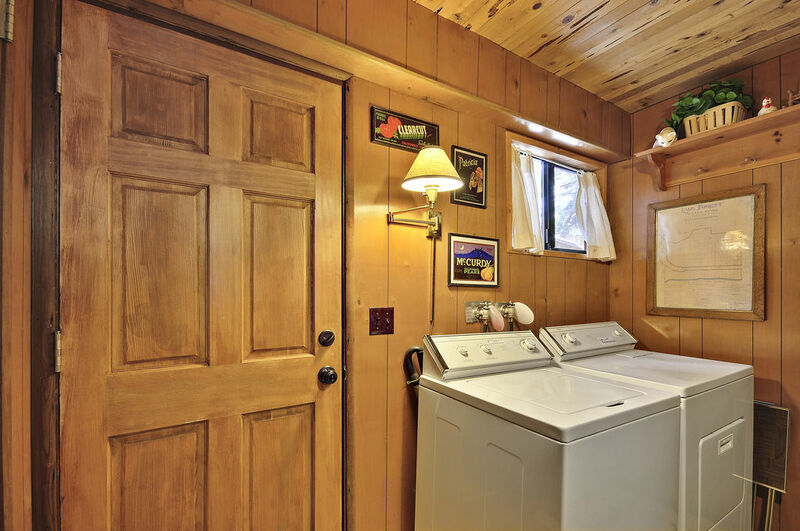 In the front corner of the living area is a nice wooden furnace, great for cuddling up next to on a cold day or for decoration on a hot summer night. 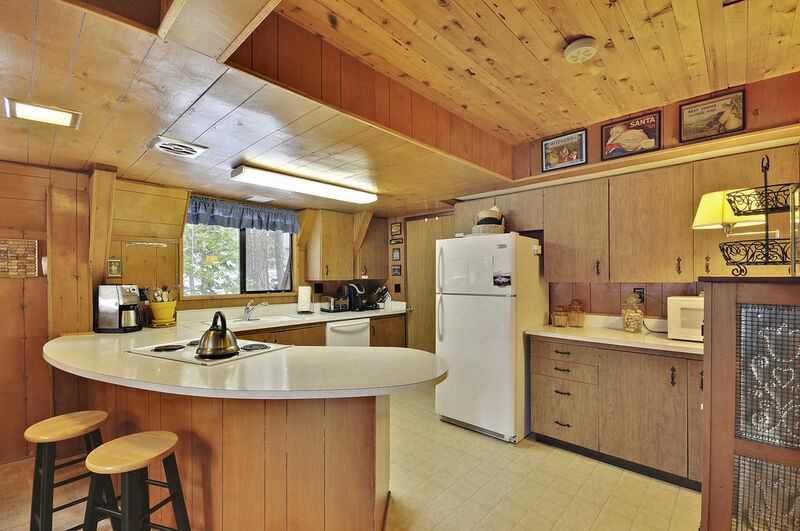 The kitchen is open facing the living room and has a nice counter area to enjoy breakfast. 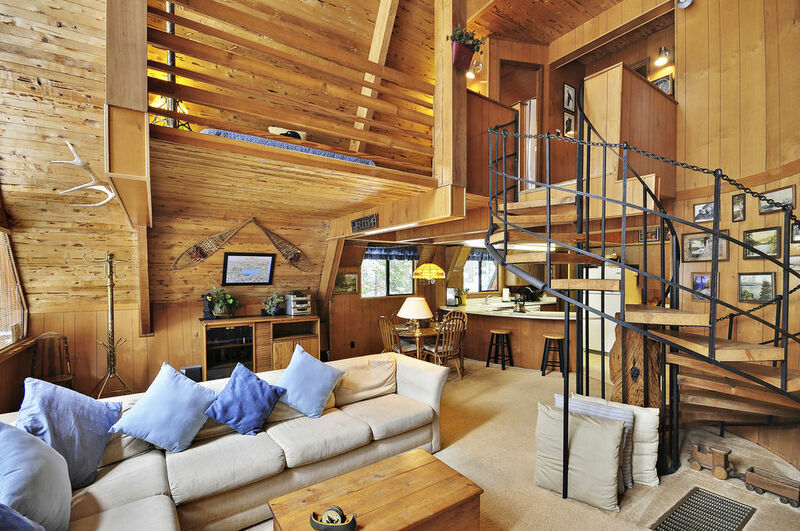 In the center of all this is a really cool spiral staircase that winds its way up to the second story. 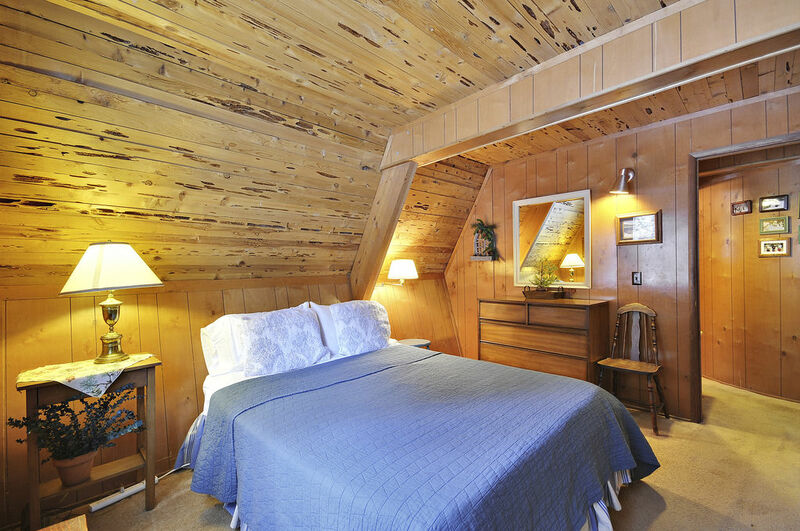 Bedroom accommodations include one bedroom downstairs with a queen size bed and a flat-screen TV. The other two bedrooms are upstairs and have a queen bed in one room and two twins in the other. 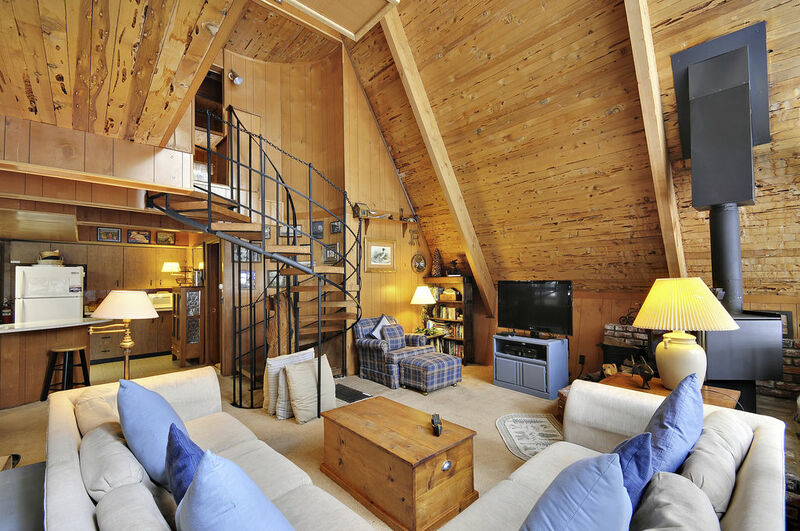 Also upstairs is a loft with a twin bed that overlooks the living room and has a great view of the beautiful nature right outside the windows. All linens are provided. 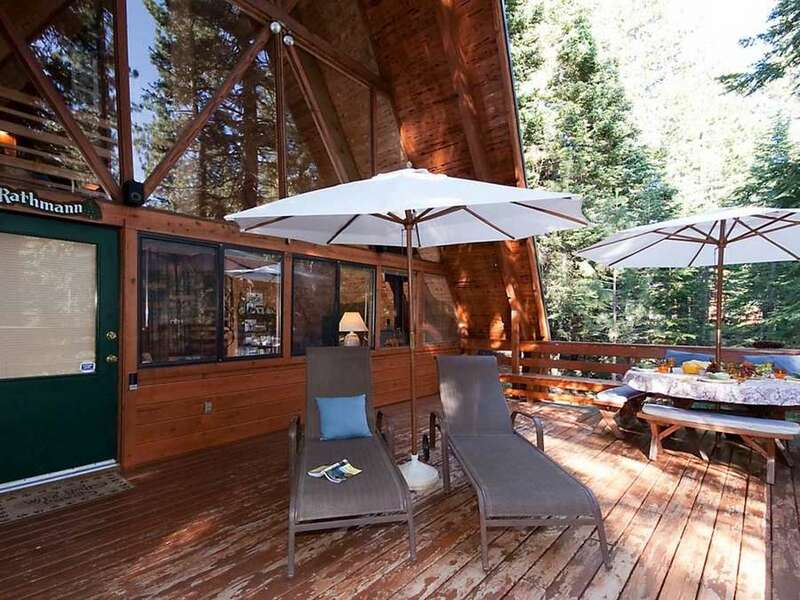 This beautiful home is only a short drive into Tahoe City and to Lake Tahoe beaches and boat ramps. 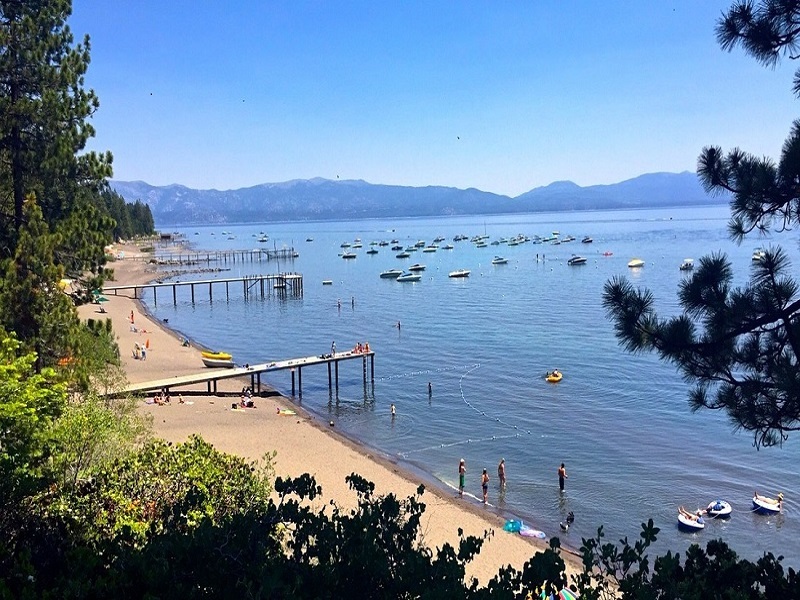 It backs up to the woods making it a great place to go mountain biking or hiking with trails that lead up to the Tahoe Rim Trail which goes all the way around Lake Tahoe. 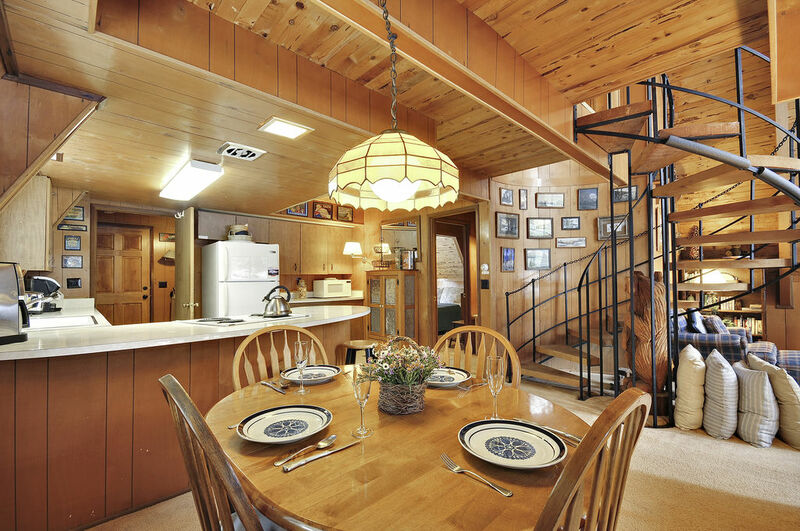 For Lake Tahoe skiing and snowboarding, this cabin is in close proximity to Alpine Meadows Ski Resort (5 miles), Homewood Mountain Resort (7 miles), Northstar at Tahoe (10 miles) and Squaw Valley (7 miles). We had a great time with our dogs. We spent 10 days for holidays with our kids and it was a wonderful experience. Everything was clean and well equipped. Location is perfect and it looks to a beautiful forest. We really recommend this property. Had a wonderful stay at wildewood cabin! very cozy and cute. 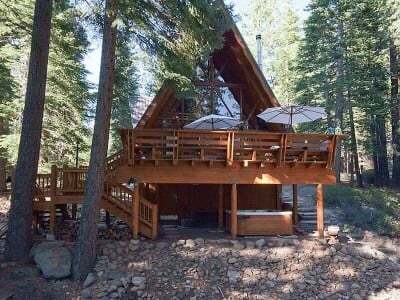 Great location just north of Tahoe City, surrounded by trees. We cooked dinner on the grill and relaxed in the hot tub. The deck is really nice- but bring hornet repellant! We couldn't get keep them away from our food. Overall- great home. Would definitely stay again! We had a wonderful time and the house was perfect in all respects. I am sorry I was not able to write a review for airbnb on time, but was traveling on business at the time. We had the absolute best experience with all of the staff we worked with at Tahoe Moon. I ask a lot of questions. 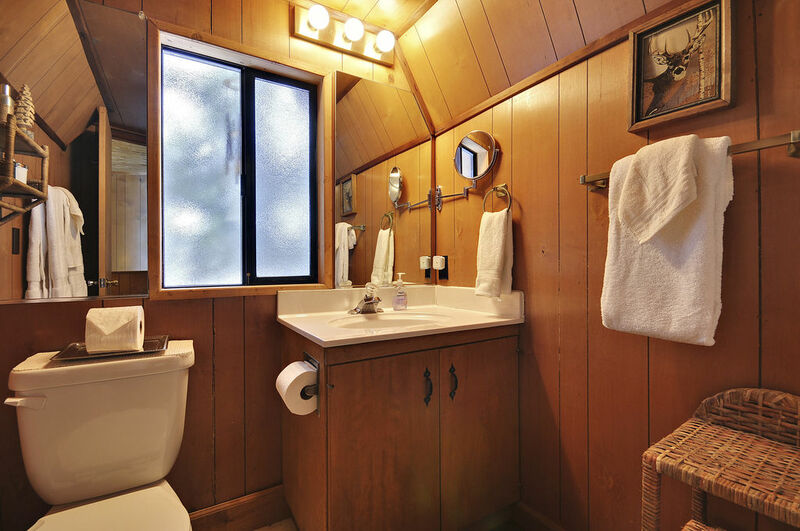 We loved the cabin, it was cozy and rustic and just what we were looking for. It was well stocked with pots and pans and cooking supplies. Beds were comfy!